Heat oil in a pan. Add mustard seeds, pinch of asafoetida and curry leaves. Let them crackle. Add chopped onion and saute till onion becomes translucent. Add ginger garlic paste and saute for few seconds. Add tomato cubes and cook till they become tender. Add turmeric powder, red chili powder, coriander powder, cumin powder, garam masala and salt to taste. Saute till oil starts to separate from spices. Add chopped spinach and cook for 3-4 minutes. 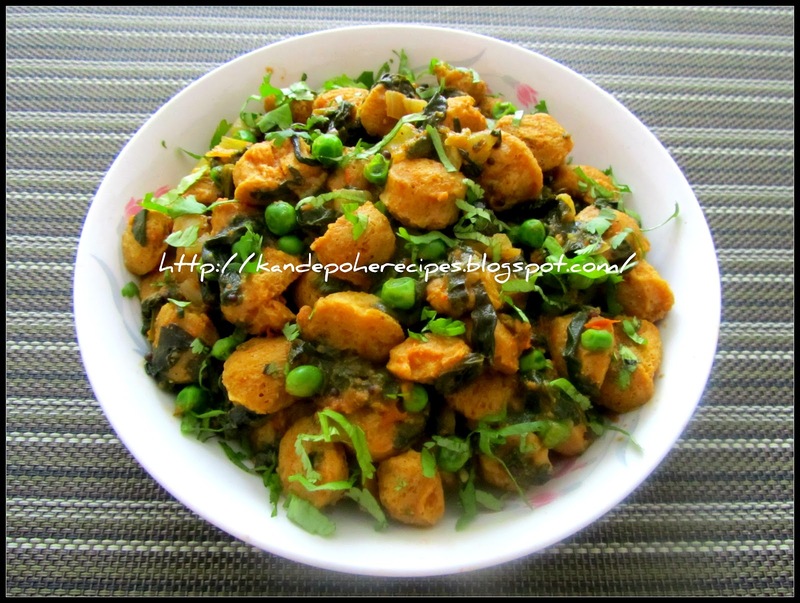 Drain out the water from soya chunks and add in to spinach. Don't add water as soya chunks loose some amount of water. Cover the pan and let it cook on medium heat for about 6-8 minutes. Add frozen green peas, dry fenugreek leaves and chopped cilantro. Mix well and let it simmer on low heat for 2-3 minutes. Serve hot with chapati or plain rice. Thanks you so much Suchi for such a wonderful award. 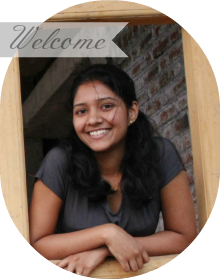 Please visit Suchi's space Kitchen Karma and check out her delectable and fantastic posts. Copy and paste the award on your blog. Link back to the blogger who gave you the award. Pick your five favorite blogs with less than 200 followers who deserve to be noticed and leave a comment on their blog to let them know they have received the award. Looks so yummy & the pic is amazing . Delicious combination of soya and palak. Wonderfully prepared. thanks dear for lovely honor and for this award, its my first chance to get this award from blogger..
first time here.. I loved the blog title - Kande Pohe! :) Its one of my favorite Maharashtrain dishes! :) And I love your simple to follow recipes! Spinach with soy, such a healthy dish dear..